John Small rifle and powderhorn. Photo courtesy of the Grouseland Foundation at 3 W. Scott St., Vincennes, Indiana (all rights reserved; used by permission). 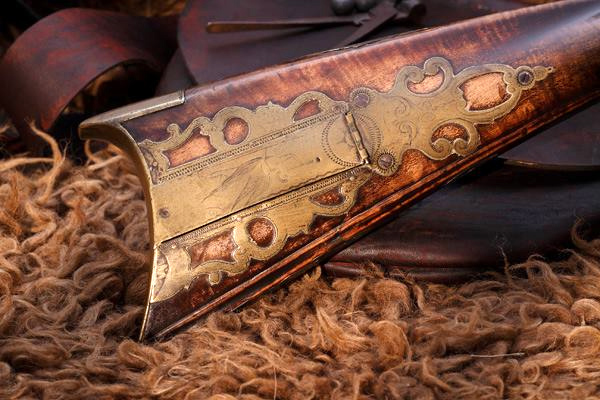 John Small rifle and powderhorn; Photo by [file:field-file-photographer]/[file:field-file-source] ([file:field-file-license]). 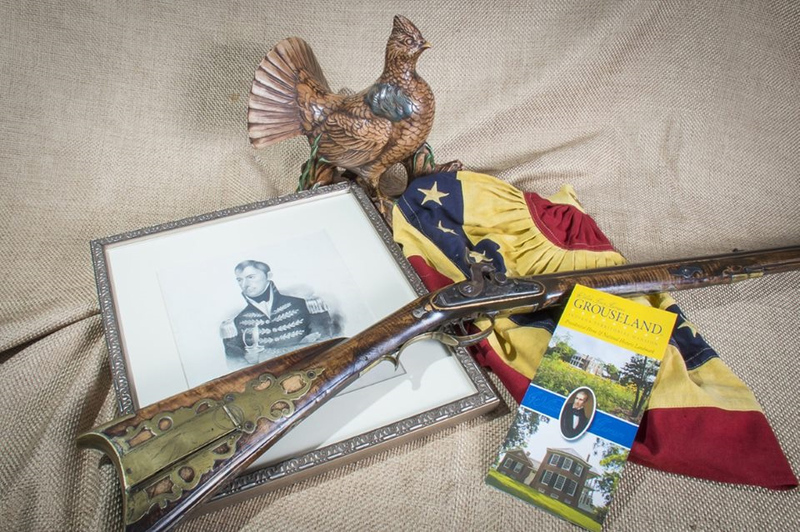 The Grouseland rifle was crafted by Colonel John Small of Vincennes, Indiana over 200 years ago (between 1803 and 1812) and is now on display at the Grouseland mansion in Vincennes. 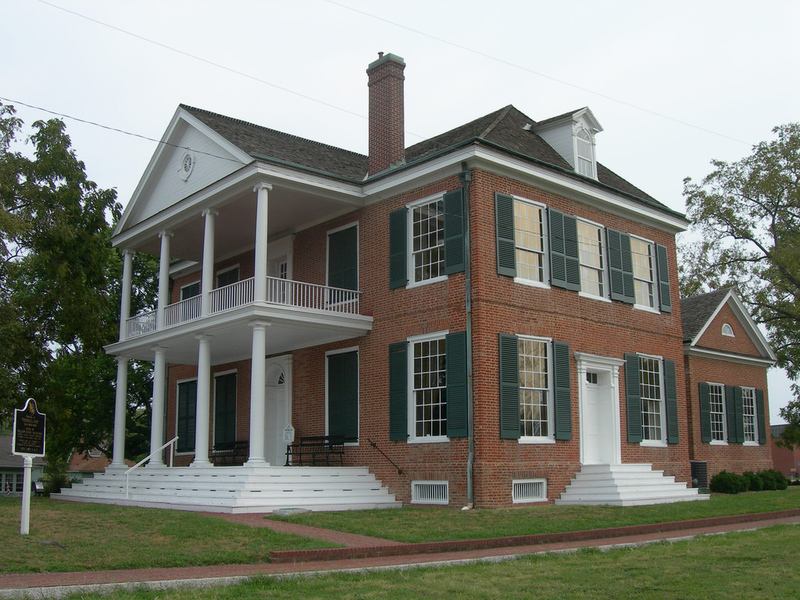 "Grouseland" is President William Henry Harrison's home. The Grouseland mansion is now a museum maintained by The Grouseland Foundation at 3 W. Scott St., Vincennes, Indiana, where folks can not only see the Indiana state rifle, but also an interpretation of territorial life and why the gun was important, as well as the legacy of William Henry Harrison to the westward expansion of the country and the development of the state of Indiana. CONTRIBUTORS: Content for this article was submitted by Lisa Ice-Jones, Executive Director, William Henry Harrison's Grouseland [GrouselandFoundation.org]. Grouseland mansion in Vincennes, Indiana; home of William Henry Harrison when he served as governor of the Indiana Territory, 1800-1812. Photo by Jimmy Emerson, DVM on Flickr (noncommercial use permitted with attribution / no derivative works). 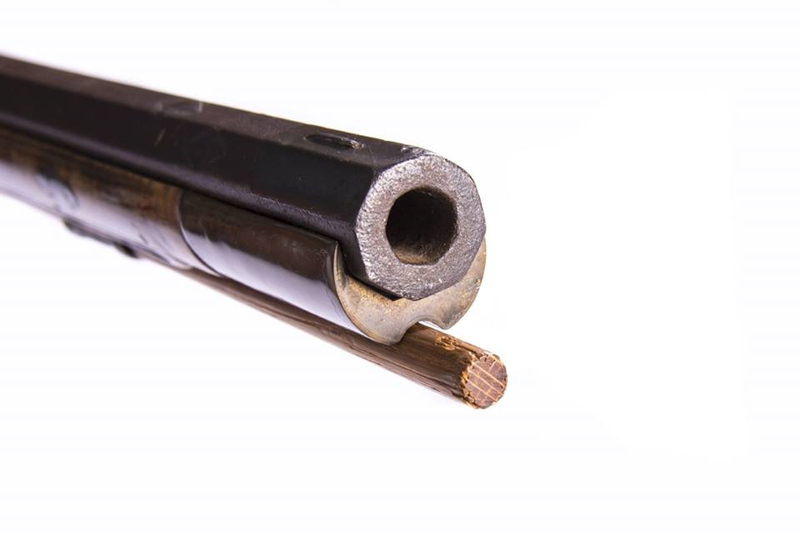 John Small rifle detail; photo courtesy of The Grouseland Foundation at 3 W. Scott St., Vincennes, Indiana (all rights reserved; used by permission). 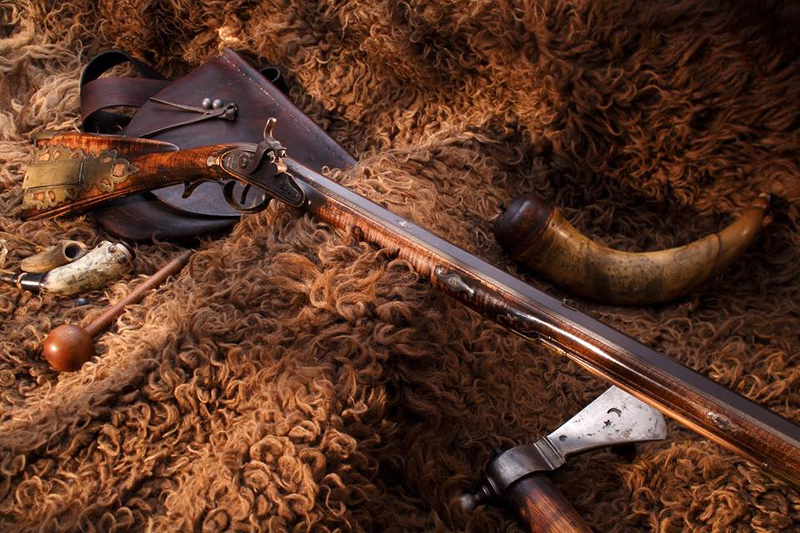 Detail of the John Small rifle; photo courtesy of The Grouseland Foundation (all rights reserved; used by permission). 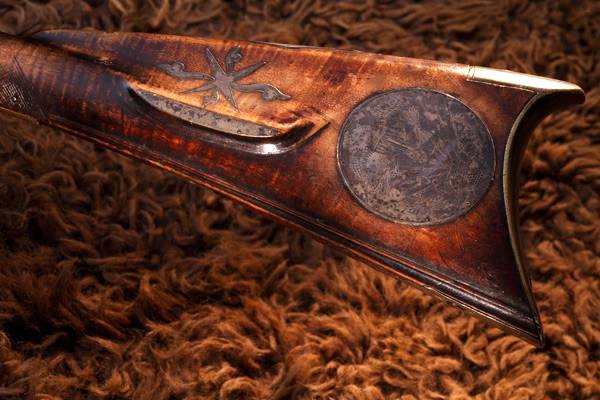 Nose of the John Small rifle; photo courtesy of The Grouseland Foundation (all rights reserved, used by permission). John Small rifle collage; photo courtesy of The Grouseland Foundation at 3 W. Scott St., Vincennes, Indiana (all rights reserved; used by permission).